Defensive Driving On ANY device. Start Now! The Texas Department of Licensing and Regulation (TDLR) has tested and approved the WirelessDefensiveDriving.com course to assure that relevant information and student participation can be accomplished using a computer, a tablet or smartphone. You can also request your Driver Records (in most cases required by the Court) while you Register. When our Students signup for WDD for the first time, they are amazed at the variety of ways they can complete the course. All of our Students realize that time is important, which is why we decided to utilize today’s Mobile Technology to give you the freedom to learn when it’s convenient for you. For more FAQs, please visit our FAQs page. 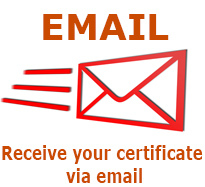 Now you can receive the Certificate of Completion via email!! Also, we can expedite the shipping of your Driver Records (and the Certificate of Completion directly to you if you prefer instead of email). 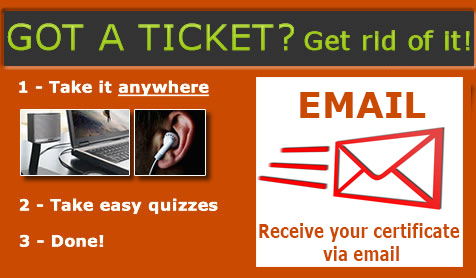 Select the Email or Expedite Shipping option at Registration. Begin Registration or returning Students Login Here. Certification in Texas is now 100% Mobile! You will no longer be held hostage by your PC or TV, when you could be running errands, picking up your kids, or working out! Wirelessdefensivedriving.com (WDD) has been approved by the Texas Department of Licensing Regulation to teach the Defensive Driving Course in Texas using any mobile device or standard PC/Mac . Download Audio Chapters instantly that can be listened to and played back while jogging, driving, or exercising using ANY of your mobile devices (iPhone, Android, iPad, Tablets, PCs and Macs). Now, you can enjoy the freedom of being TOTALLY WIRELESS, which will save you Time, Money, and Frustration, yet give you the flexibility of fulfilling your Defensive Driving requirement when and where you have time. To get started, please complete the Quick Registration Form. For Returning Students, please Login Here. Simply, visit our YouTube channel (link below), and get all the content for the course in one place. Listen or watch the different chapters, and take the required quizzes. Before you know it, we’ll be shipping your Certificate of Completion to you, and you’ll understand why any other way would be inconvenient and time consuming. We also offer the option to download our course material to your mobile device so you can take it with you even when you don’t have a connection.